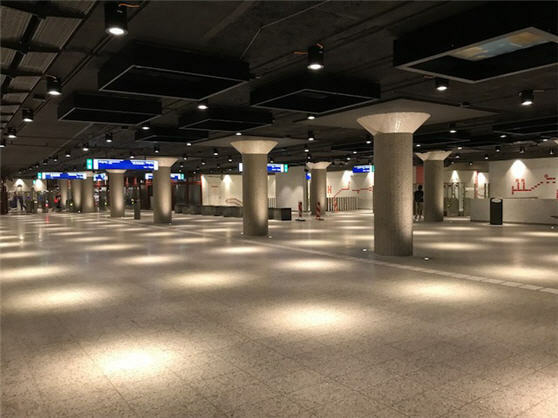 The Weesperplein metro station has been renovated. The main hall now has a contemporary look and is spacious. All elevators have been renovated and have glass exterior walls. A second elevator was installed from the street to the hall. Two new sets of stairs to the platforms have been installed. In addition, the station signs have been replace, the gates were replaced, and the lighting upgraded. There is no ticket vending machine available at the Sarphatistraat West entrance (at the tram stop). A ticket vending machine is available at the other Weesperplein entrances.